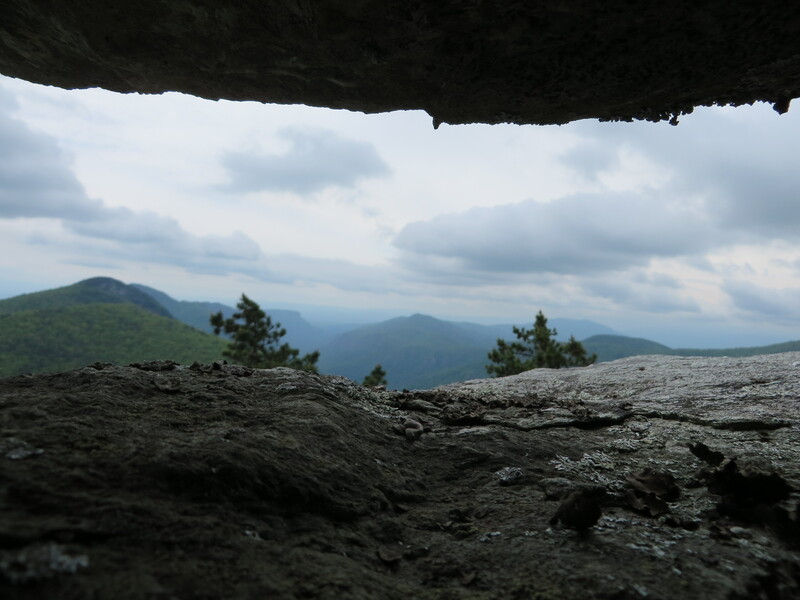 I’ve been spending quite a bit of time in the Linville Gorge in North Carolina lately. Until recently, despite being oh so close to home, I haven’t taken the time to explore the wonderfully deep valley of boulders and trees. Solid information on the gorge is relatively hard to find, and perhaps this is what has kept me from exploring it sooner. However, this is also what has kept me coming back, exploring it’s nooks and crannies. I wanted to share what I’ve been learning about the gorge, starting with the East Rim. I’ll be updating this page as I explore it further, so check back for more information. The gorge itself houses 39 miles of trials in nearly 12,000 acres of canyon, comprised of beautiful vistas, steep climbs, rivers, waterfalls, boulders, chimneys, old growth forests, and currently regenerating flora recovering from a series of wilderness fires several years ago. If the variety isn’t enough, the views certainly are. 3,400 feet rock formations provide excellent perches for the determined hiker, far above the ruggedly carved walls of the valley. Accessing the trails along the east rim can be tricky, often requiring you to access the trails via service roads, which are mostly gravel, at times poorly maintained, and some of them are very long. Consider this when choosing your route. A four wheel drive vehicle is generally recommended, but the more popular trails are easy enough with two wheel drive (Tablerock). You’ll need to consult your map when planning, as this guide alone cannot be sufficient, and is only meant to give you an idea of what the trails are like once you’re on them. That being said, this is a wilderness area. Trails are rarely marked, and false trails are around every corner. 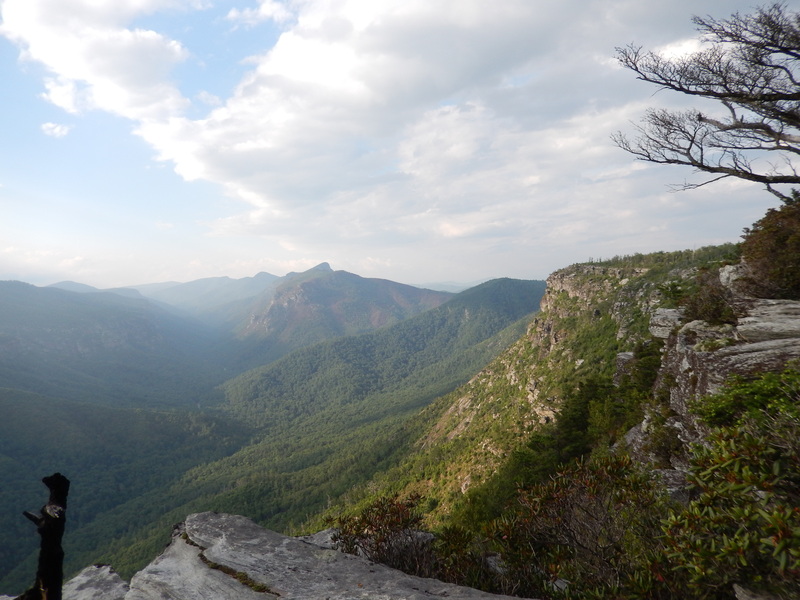 Never enter the Linville Gorge without a map, compass, and the skills to use them. Map and Compass Navigation Basics. This trail runs North to South, and offers impressive views high above the gorge. Sitting Bear, a large rock formation, offers great climbing and rappelling opportunities for advanced climbers. Just north of Sitting Bear lies a fantastic view of the gorge, looking south across the entire gorge. You’ll earn this view as the trail is incredibly steep in places. While fairly well maintained, it’s very rugged and practically straight up the mountain. You’ll find no switchbacks here. This trail rides south, if parking at the Table rock parking area, and provides westerly views across the gorge, with hints of the Linville River. You’ll traverse impressive rock formations for the first half mile or so of the trail (the Chimneys) and this trail includes many opportunities for climbing and rappelling. 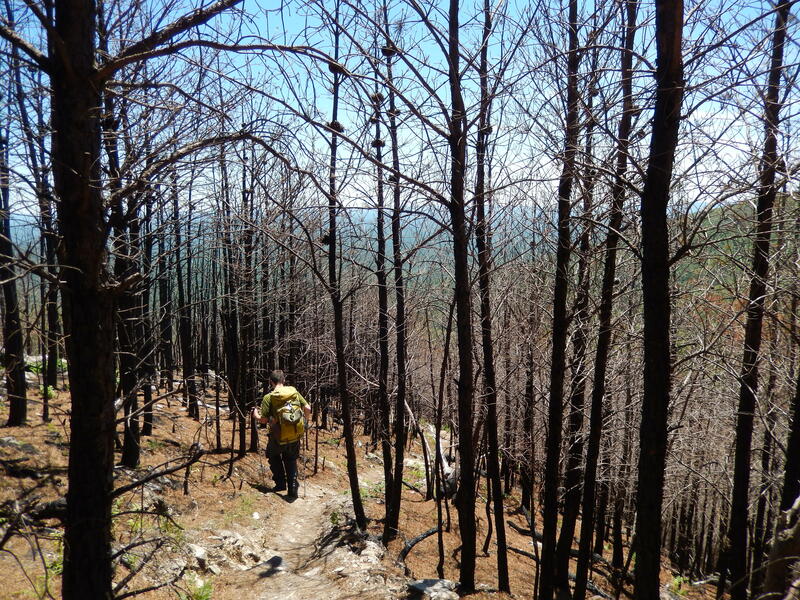 You’ll do some light scrambling at places, and eventually find your way into a recently burned area of trail. This section offers little shade, and it gets very hot. Bring lots of water, you won’t find any here. Continuing into Chimney gap rewards you with shade, but still no water sources. You’ll enter thick forest, and many of the branches are not maintained. There are more great views to gain, after climbing back up the ridge after a short descent just south of the Chimneys trail. This trail descents fast and steep into the gorge, running west from the Chimneys trail. It’s rugged and appears to not be maintained. If you need water, this will get you to the river, with some effort. The shortoff trail is one of the easiest trails on the east rim, but accessing it is a problem. Maps are often outdated, and the service roads are mapped improperly. If you can find your way in, the trail primarily follows a steady ridge line, with minimal elevation change. The views are fantastic, looking deep into the valley from many different points along the trail. Much of this trail has been burned previously, revealing many viewpoints, but offering limited coverage from the sun and the elements. There is a water source along the trail, and it’s fairly reliable (check your map). Access to the trail is a bit tricky, as some of the service roads just dead end at private property. One access point is through “Wolf pit” which will have you climbing rapidly up a steep rocky incline until you reach the top. This isn’t your easiest route, but it’s a fairly fast way up if you’re in good shape.